We absolutely love lapbooking in our home. We have only been making them for five months and already have quite a stack of completed lapbooks. I have to admit when I first heard the word lapbook I wondered what the heck one was. Once I found out what they were and I had to know how to make a lapbook, if you have the same question please keep reading! If you have never made a lapook you may have some questions, I know I did. 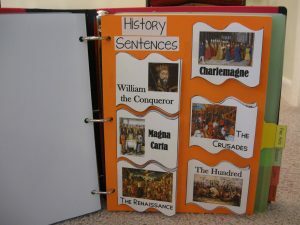 You can make lapbooks short and sweet or add pieces to make them larger. You can find many free printable lapbooks online, you can view my growing lapbook list here. 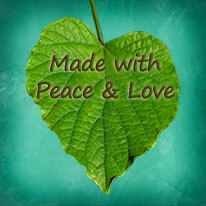 If you have the time and want to get really creative you can make your own using these templates from Homeschool Share. 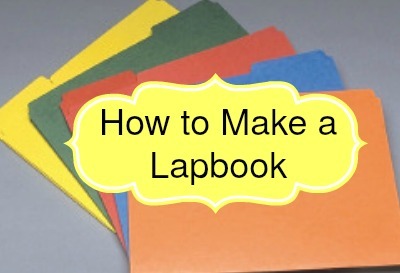 First, you will need to decided what type of lapbook that you would like to make. You can use file folders or cardstock. **update 2016** When we first started creating lapbooks we used file folders, those are the ones in the images above. Now that we have been making lapbooks for years we use cardstock to glue the pieces on to then hole punch the cardstock to store in a binder. Now you need to gather the supplies needed to make a lapbook. Don’t worry there aren’t many! 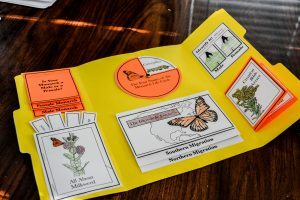 You will need file folders, cardstock, double sided tape, glue, and the printed templates of the lapbook that you are making. See, not that bad! A few substitutions can be made as well. 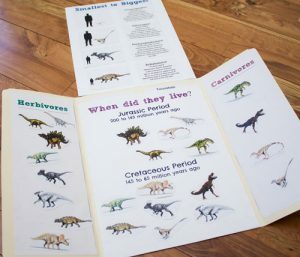 You can print your templates on cardstock or plain paper, it is up to you. Of course, cardstock holds up better but printer paper is less expensive. The decision is totally yours! If you don’t have double sided tape for the file-folder style lapbooks I have managed with duct tape. My husband and I put together the following short clips demonstrating a few of the folds. We did this because I was totally confused when I sat down to make one. Don’t worry, it will be second-nature soon! 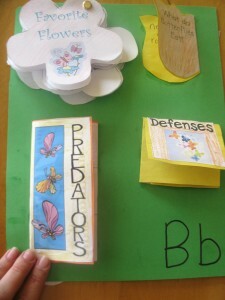 A basic lapbook uses one file folder, easy peasy! How to fold a lapbook using multiple file-folders sounded intimidating to me. Don’t worry it is not difficult at all! You can use two or more file-folders, depending on how big your lapbook is going to be. Foding a lapbook with a fold down or up flap is easiest with double-sided tape I admit but I have used duct tape on many occasions! We use lapbooks to teach or reinforce ideas. The kids are so proud of their finished books. Often guests at our home are greeted by a child holding, with pride, their most recently completed lapbook. Recently, we have been using them to record several different learning subjects. We made a book report lapbook after reading the Story of Ping. Ava is beginning ‘Charlotte’s Web’ this week and will create a lapbook on the book as well. We had a blast creating our butterfly lapbook! 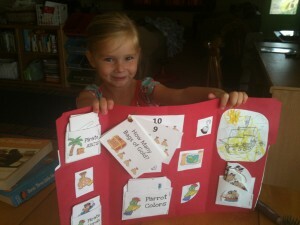 You do not have to be a homeschooler to learn and have fun with lapbooks. My friend is a second grade teacher that discovered how fun lapbooks can be from my kids. 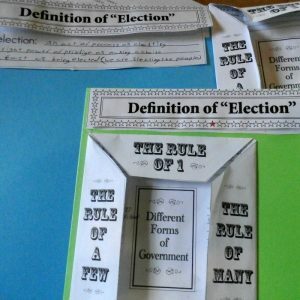 Once I showed her how to make a lapbook she had her students create an amazing American government book. Alex often takes a few to the couch and looks through them over and over again. I cannot think of a better way to organize and put together a unit of learning than into a lapbook. 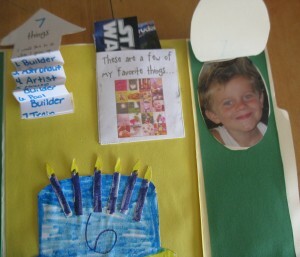 This is Alex’s first lapbook, all about him. These make great keepsakes as well in my opinion! If you have a favorite lapbook or link to one that you have made, please leave it in the comments and I will add it to my list. Have fun lapbooking!! This is awesome- our family just discovered lapbooking and my three year old and I just finished our first lapbook together in conjunction with a FIAR book. Thanks for the tamplate links! what did yiou do for the fiar book? For Five In A Row it would depend on the book. We just finished a lapbook on ‘The Story About Ping’ that I found over at CurrClick. Thank you, I’ve been wondering what a lap book is exactly. You’ve answered my questions. Pinning! Throwing the 'Schedule' out the Window!